The PBS Online Film Festival showcases powerful stories from filmmakers across the country and reaches an engaged and digitally savvy audience. The 2017 PBS Online Film Festival will take place July 17- July 28, 2017. 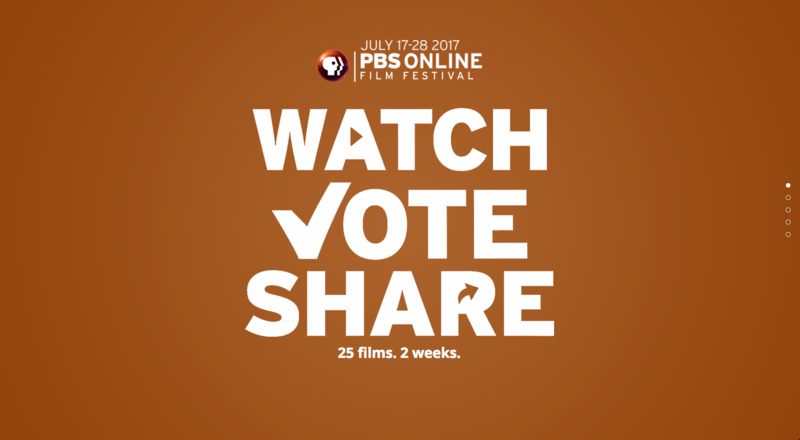 Since its launch in 2012, the PBS Online Film Festival has featured diverse films from PBS member stations and ITVS and POV. Collaborations with public television producers, including the Center for Asian American Media, Latino Public Broadcasting (LPB), National Black Programming Consortium (NBPC), Pacific Islanders in Communications (PIC), and Vision Maker Media have also been included. The PBS Online Film Festival has attracted more than 4 million video streams over the first five years. Like last year, the PBS Online Film Festival site will be available via bentomatic. Users will be able to vote for their favorite films directly on the site or participate in social voting by logging on to their Facebook account “liking” their favorite films. Register now for an informational webinar and learn more about this year's PBS Online Film Festival and how to implement the coming Bentomatic for your site.